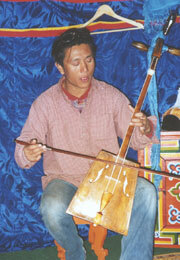 Morin huur is the traditional strings which represent Mongolia. who remembers thinks of a story “white horse of SUHO”. it played by what kind of shape, and what kind of sound rings? leather and a fiber according to “white horse of SUHO”. and I don’t know whether such one existed actually. sculpture by which a neck is always a horse most to the top is on. together in correctness is 2 bunches. structurally with a bow of a violin. by the strings of the violin completed as a modern musical instrument. More than 2 of sound is also a strange song way together than a person’s of man in the world heard. It’s handed by several minority groups which live in a mountain range in Mongolia, TUBA and Central Asia down from generation to generation, and there are various nicknames by the difference in the small technique again by each race, but the Mongolian race’s is called homey. There is various explanation, but it isn’t able to understand by all means to hear and not to see only this sound for draft beer actually. The morin huur which stuck Seel’s (goat of the wild which lives in Mongolia) leather on a front of the body used from autumn in 2005. Mr. ORONBAYARU is manufactured. The hair by which the handle and the bow are a tail of a horse of course. The simple sound makes it earthier than wooden morin huur. 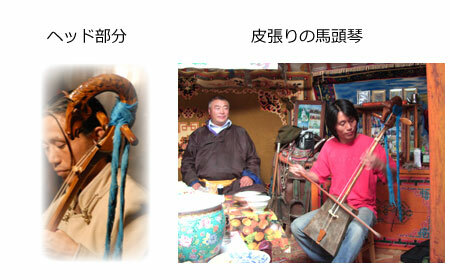 The handle by which tuning of usual morin huur has by morin huur in Mongolia country, B♭ and a low chord are F.
2 phones of leather-covered morin huur is being tuned low from 1 phone more than that in case of me. 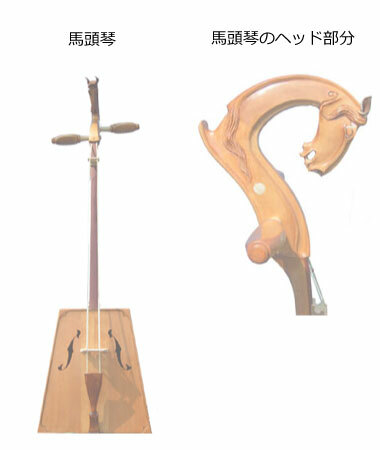 Leather and hair of a tail react to a change in the temperature and the humidity sensitively, and for the tune to change, it doesn’t suit to mix with other musical instruments so much, than the time which was being played by wooden morin huur if singing, homey accompaniment and ORUTINDO played a comfortable song and BIERUGE (melody of a Mongolian dance) etc., it’s more affected appropriate for Mongolia. The landscape with which I met up in Mongolia and such sound by which all songs and such things nomads and they sing are remembered. © 2018 Tatsuya Okabayashi All Rights Reserved.